We can bet that everyone has heard about Nikon brand, and every photographer (either a professional or a beginner) has ever used a Nikon camera. And that’s not strange as with 100 years of experience Nikon has managed to become a leader in optics and imaging products. Since 1948 Nikon has been producing different cameras which are suitable for completely various purposes. Its cameras are used by novices, amateurs as well as real pros. We have prepared the list of best Nikon cameras to help you choose the right one for your needs. 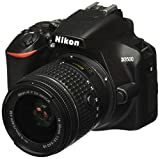 One of the best Nikon DSLR cameras for beginners is Nikon D3500. It’s really very easy to use as it comes with an in-camera guide for newbies. Besides, it’s not an expensive model, so you won’t need to spend a bunch of cash on it. Despite being a DSLR camera Nikon D3500 is rather compact and therefore comfortable in use. You can easily put it into your travel bag and take some great shots of the places you visit and people you do this with. In addition, this Nikon camera has a solid body which can survive almost any adventures. If you download Nikon’s free SnapBridge app all your shots will have a chance to appear on one of your devices (smartphone or tablet). Note that there is an option of Wi-Fi and Bluetooth connectivity to share your images. However, keep in mind that this camera doesn’t provide 4K video recording. Instead, D3500 supports 1080p Full HD videos. 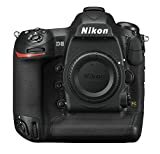 Another Nikon DSLR camera at an affordable price is D5600. It would be a great model for those who know what DSLR camera is and how to use it. There is 24.2MP DX-Format CMOS sensor which together with EXPEED 4 image processor guarantees high-quality images with all the necessary details and clarity. Thanks to wide ISO range this camera can produce good images in almost any conditions. Besides, you can use a set of interchangeable NIKKOR lenses to add some effects like background blurring or rich-tone contrasts. Nikon D5600 has also got free cloud storage – Nikon Image Space, where you can keep all your shots automatically. There is also an option of remote control, so you can use your smartphone to shoot portraits form a distance. And if you download SnapBridge app you will also see all photos on one of the compatible devices. By the way, this Nikon camera is provided with Wi-Fi, Bluetooth and NFC connectivity. As to the shooting speed, it reaches up to 5 fps. Note that this Nikon camera doesn’t provide 4K video recording, and Full HD 1080p at 60 fps is all you can expect from it. As well as D3400 this is also one of the best Nikon DSLR cameras. But if D3400 belongs to the category of budget items then this one is a representative of the elite photography world and is much more expensive. However, price isn’t the only difference. Nikon D850 is a full-frame DSLR camera with 45.7 mp BSI FX-format CMOS image sensor. Obviously, such hefty image sensor means first-rate shots. What is more, this Nikon camera has an improved autofocus system with 153 focus points, 99 cross-type sensors and a dedicated AF processor. It’s a professional Nikon camera which is especially highly appreciated by videographers. On 23 February 2017, at CP+ show, there was released a special edition for Nikon’s 100th anniversary. Thus, carpe diem and get the D5 100th Anniversary Edition. What’s so special about this limited edition? The heritage of a flagship model is embodied. There is also a dark metallic gray finish and a stamp on the bottom which notes Nikon’s contribution to the study and exploration of space. All other features coincide with a regular Nikon D5. This high-end DSLR camera is full-frame and has an impressive ISO range – 100-102,400 which is expandable up to 50-3,280,000 equivalents. Such ISO is gained thanks to the combination of 20.8-megapixel APS CMOS sensor and Expeed 5 image processor. Its 153 AF points and 12fps continuous shooting speed deserve deep respect as well. As to the video features, Nikon D5 provides 4K video recording at 30 fps. What is more, this camera is able to take shots while recording a video and its video autofocus includes contrast detection too. There’s no need to underline the fact that such options are great for creating top-notch videos. However, excellent video and photo quality isn’t the only advantage of this best Nikon camera. Its battery life is another reason to purchase namely this Nikon product. The point is that Nikon D5 can make up to 3,000 shots. Another Nikon camera that has also got the title of the best one is Nikon COOLPIX A900. This camera is especially valuable not only for its 4K video recording with stereo sound or a super telephoto NIKKOR glass lens with Lens Shift 5-Axis Hybrid Vibration Reduction but for its compact size as well. We should admit, that there always comes the moment when we give preference to the convenient pocket size rather than the endless list of useful options hidden inside the heavy and bulky camera body. COOLPIX A900 is also provided with a functional 180-Degree Tilting 3.0-Inch LCD Screen. It supports Wi-Fi and NFC technologies. Besides, it is equipped with Bluetooth Low Energy technology. It takes clear pictures and is good in low light conditions. The flash has multiple choices to control the light levels and red-eye effect. In addition, this Nikon camera is easy to use – its menu items include momentary text messages to explain each function. The most impressive feature this Nikon camera has is ISO range that can reach up to 1,638,400. Nikon D7500 has 20.9 mp DX-format image sensor and EXPEED 5 image processing engine. Consequently, this camera is suitable for shooting in low light conditions without losing accuracy and tonality. Its continuous shooting speed reaches up to 8 fps but you can also choose an option of 50 14-bit lossless compressed RAW frames or 100 JPEG Fine frames. Its AF system is powerful enough to save all the details of each photo even at high speeding as Nikon D7500 uses 180,000-pixel RGB sensor. D7500 has a robust build quality – its Monocoque design and extensive weather sealing help withstand dust, moisture and some heavy use. Apart from this, it also provides comfortable performance thanks to its tilting touchscreen, slimmer ergonomics and a deep grip. Nikon COOLPIX P1000 is another camera worth a closer look. This one of the best point and shoot cameras has awesome telescope-like zoom thanks to its powerful 3000mm equivalent NIKKOR ED glass lens. And all this is hidden in a compact bridge zoom camera design. Nikon COOLPIX P1000 gives also a chance to control some features such as smooth focus control ring, snapback subject acquisition checking and AF/MF switching. Note that smooth control ring lets you adjust focus in MF mode or exposure as well as white balance or ISO in AF mode just from the lens barrel without even looking away from the viewfinder. All images produced by this point and shoot camera are always accurate and sharp as there is a built-in image stabilization that comes with a Dual Detect Optical Vibration Reduction system which stabilizes both vertical and horizontal movements. Nikon COOLPIX P1000 also provides 4K ultra HD video with stereo sound. What is more, there is an HDMI port for recording and playback to an external monitor, a mic jack for optimal sound capture, and a hot-shoe for some other filmmaking accessories. Need one of the most professional cameras ever? Nikon Z7 is one of the best and the most sumptuous cameras on today’s market. It is designed with new Z Nikkor lenses which are known for delivering excellent corner-to-corner sharpness. They have a revolutionary performance and gather more light. Note that this camera allows using more than 360 F-mount Nikkor lenses. Just imagine how much you can get out of Nikon Z7 and what breathtaking shots it can produce. Nikon Z7 is equipped with built-in 5-axis VR image stabilization in five directions (yaw, pitch, roll, X and Y) what guarantees extremely smooth and accurate photos. In addition, its video recording includes the combination of optical and electronic VR to get steady shots. If you are going to capture some fast actions then you can turn on sports VR mode. By the way, this Nikon mirrorless camera supports full-frame 4K ultra HD video recording. Its new subject tracking is accurate and easily catches the necessary object among many others. As to the autofocus, Nikon Z7 comes with a new hybrid AF system which can automatically switch between different modes to get the best focus.